One of the famous hotels in Marrakesh, the Diwane Hotel offers world-class hospitality with a team of professional and expert staff members. The accommodation includes air-conditioned rooms and suites that are available in different styles. The hotel houses a well-appointed spa with expert masseurs that will give you pleasurable massage from head to toe. Those who want to stay in shape can take advantage of the state of the art fitness centre with expert trainers. 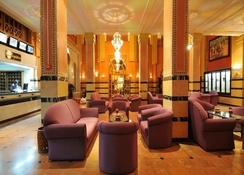 The Diwane restaurant in the hotel serves appetising dishes and refreshing drinks for breakfast, lunch and dinner. The hotel is only a short drive away from the airport, making it convenient for guests. Guests who arrive by car can take advantage of the parking facility. The hotel’s location, facilities, staff members and of course its rooms are sure to delight guests during their stay. 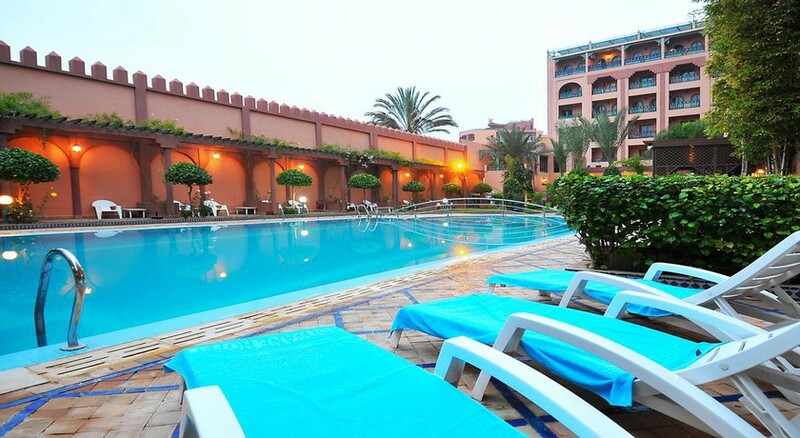 Diwane Hotel enjoys a central location in Marrakesh. Jaam El Fnaa, a historic area known for its charm is just a few minutes from the hotel. The property is close to several shopping malls, bars, restaurants and water parks. The Marrakech – Menara Airport is just 5.3km from the hotel, making it convenient for guests to reach the hotel and board their fights back on time. The hotel offers spacious and brightly decorated Single Room, Double Room, Triple Room, Junior Double Suite and Family Junior Suite. All rooms are spacious and come with the essential amenities including a small fridge, satellite TV, free Wi-Fi, air conditioner, safe rental and hair dryer. All the rooms are contemporarily designed with the finest materials. Restaurant Diwane welcomes its guests every day with appetising breakfast, lunch and dinner. All the Moroccan and continental dishes are prepared by expert chefs. 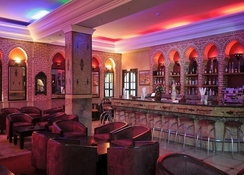 Every Friday the hotel provides its guests with a special Moroccan dinner that is complemented by live music. The hotel offers in-room service. The hotel houses a state of the art fitness centre, where guests can work out and stay in shape during their holidays. For complete relaxation, guests can head over to the spa that offers some of the best massages from head to toe. For the adventure seeking guests, the hotel arranges for quad biking sessions in the desert. 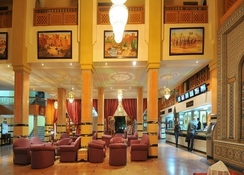 The hotel’s reception also arranges for expeditions to the Sahara Desert. The hotel was great. It is a 15 minute walk from the YSL garden and around 20 minutes walk from the souks and centre. It is also around 2 minutes walk to one of the busiest streets with lots of restaurants, a mcdonalds, and dessert shops, but is also quiet enough to enjoy a good nights rest. Very clean, friendly and safe. The reception staff were wonderful, be sure to ask them any questions you might have especially about prices taxis should be charging. We also booked 3 excursions with the front desk, I would definitely recommend the Chez Ali one, the waterfall, and the desert trip (but make sure to take lots of water as they don't provide it and be prepared to travel 12 hours each way with great stops along the way). The pool is brilliantly maintained with an attendant that gets you towels and floats. If you go just before peak times in the year, it's great weather with a cool pool and one 14th of space. The rooms are very spacious with air conditioning, great big mirrors and large bathrooms. The breakfast was great too with freshly made Moroccan pancakes and plenty of choice and space to sit, including outside by the pool. The hotel has a lovely courtyard with flowers and beautiful mosaics so great for Instagram photos. I would definitely recommend this hotel and plan on going back. This was my first ever solo Trip and i'm so glad I picked that hotel. Everyone was really friendly and welcoming. I felt secure the food was great, I only wish it was all inclusive. The hotel was traditional theme, the pool was good, the restaurant was average but could have a better and larger menu. While the accommodation was very central which was good. The room was not very nice. It was noisy and gloomy. The rest of the hotel was not so bad. Will never use teletext and nor their recommendation!